I've already mentioned in my last Patchwork Challenge update that our garden has recently been graced with a flock of eleven Goldfinches, and it looks as though they show no signs of moving on. We recently switched from black sunflower seeds to sunflower hearts in an effort to cut down on waste and mess and it seems that the birds, including our Goldfinches, are big fans. It's surely no coincidence that they arrived a couple of days after the change, as did two Greenfinches (increasingly rare here) and both male and female Bullfinches. Expensive tastes perhaps but I'm happy to fork out as long as they keep visiting. The Goldfinches have been a little more wary on the feeders than those we had a couple of years back meaning that to date the photo above is the best I've managed to obtain. Our Bullfinches however are gaining in confidence all the time allowing me to get good shots of the female below. They still don't like actually seeing you in person though no longer flee whenever the back door opens, so this was taken whilst hiding behind a retaining wall with only the camera lens sticking out. Thank god for fold out LCD displays otherwise who knows what I would have ended up photographing. 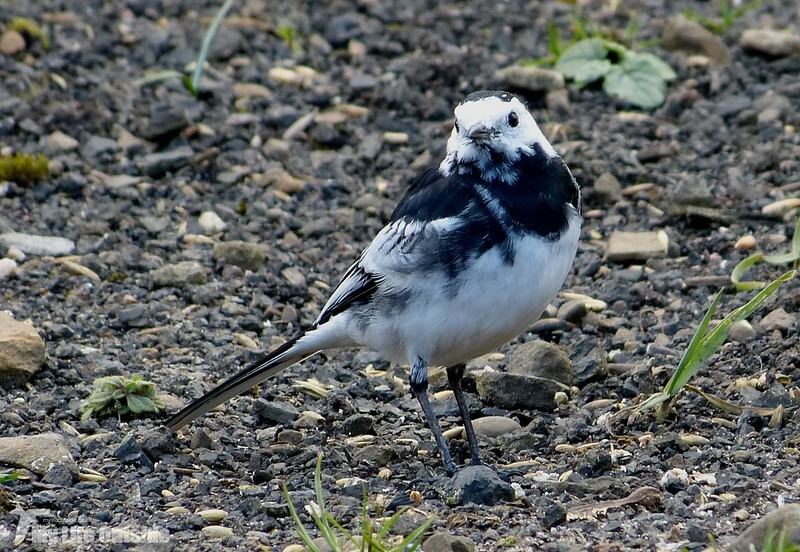 While in hiding the regular male Pied Wagtail also popped over for a feed allowing me to capture him on camera properly for the very first time. Now that I've had chance to study the photos closer it's clear that his plumage is far from 'classic'. A juvenile perhaps? With these in the bag my next target has to be the Greenfinches though they present a much greater challenge. Their visits are far less frequent and stays shorter but hopefully as they become more acclimatised to the garden this is something which will change. Lovely collection of birds.. They are all beautiful..
Three lovely birds you have photographed. You have got them, excellent photos Adam. 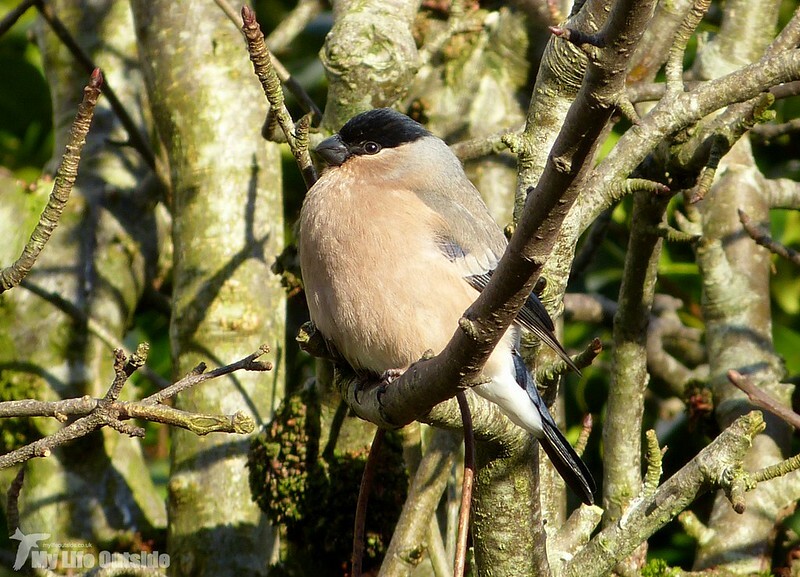 We were thrilled to have our second Bullfinch visit recently. As for the Greenfinches, well, there were one or two when we moved in, a couple of years ago, but I haven't seen one for a while. I wonder if the virus has been taking its toll everywhere. they're all beauties, but i love those bullfinches! Wonderful shots Adam!! That Bullfinch looks so dapper!! Good idea about using the hearts NO shells on the ground!! Good luck with your Greenfinches..birds are very shy of digital cameras the red light scares them! Lovely birds! 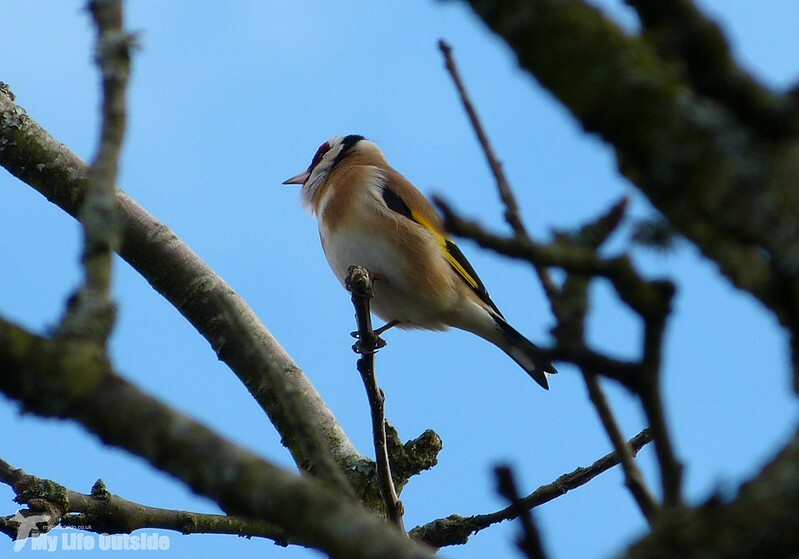 I have seen several of your goldfinches here in New Zealand--such a wonderful surprise! Your other birds are quire pretty, too. Beautiful visitors to your backyard - and I like the description of you hiding behind the retaining wall to get good photos - and the resulting photos are great! A Stunning bird, lovely images! 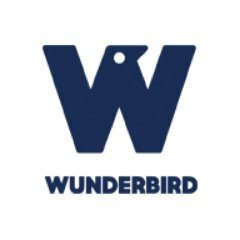 Great shots of these wonderful birds! Wow thanks for the great comments everyone.